These are our high pressure coolant thru rotary recess attachments. 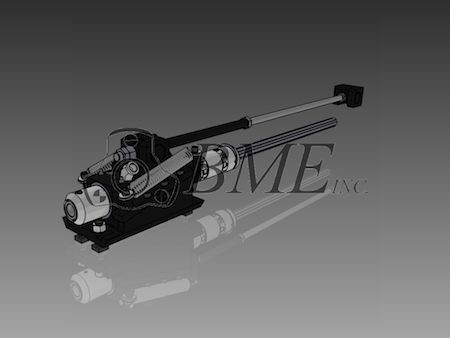 We can make these for your Acme Gridley, Wickman, or New Britain automatics. The attachments have high pressure coolant though the spindle. This makes the rotary recess attachment very easy to integrate into an existing coolant system. Hardened and blackened steel, driven by the machine's existing gear train. Installation available! Manufactured and serviced in the USA!